New Design!!! 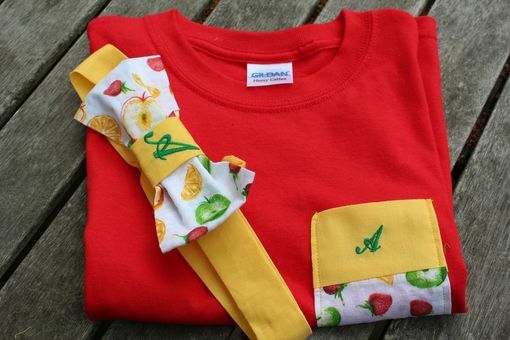 This is a size 4 t-shirt with designer upgrades: Colorful monogrammed pocket added to front of shirt and a monogrammed bow tie belt designed for waistline. If you want a 'kicking hot' fashion try one of our new style shirts. Prices depend on size and amount of monogramming.